Deputy CEO at Women's Centre for Health Matters in Canberra. Emma has spoken at TEDxCanberra and TEDxAdelaide about the importance of listening to marginalised women, and at the Now Hear This storytelling night about the diversity of the Canberra community. 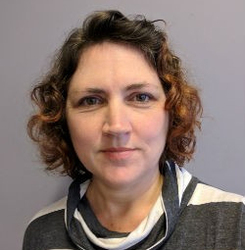 Emma has previously produced research and advocacy campaigns at Equality Rights Alliance, managed websites for the Australian Medical Association, was Director of Information Management at Navy, worked in private sector software development, owned and managed a small retail business, and worked at Centrelink for seven years. What will it take for women in Canberra to feel safe? What would it take for women to get back on the bike?